Inspired by 10-year-old brain cancer survivor Grace Eline, the President called on Congress during last night’s State of the Union to fund more childhood cancer research. As the leader in the fight against pediatric brain tumors, the Pediatric Brain Tumor Foundation supports the call to action that more government funding is needed for research. 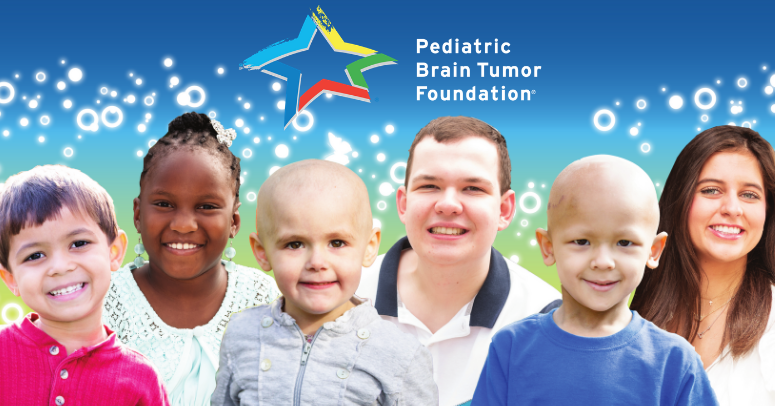 Recently, the PBTF’s advocacy work secured an additional $3 million in NCI funding for pediatric brain tumors. This is an important step; however, it will take additional dollars and support from the private sector, nonprofits, and individuals to move the needle and eradicate pediatric brain tumors, the deadliest childhood cancer. A generous donor has pledged to match the first $15,000 donated in response to this need, and every dollar donated to this PBTF challenge will help us raise more than $1.6 million this year for pediatric brain tumor research. Since 1991, the PBTF has funded tens of millions of dollars in scientific discovery to increase survivorship, improve quality of life, and ultimately eliminate pediatric brain tumors. In addition to funding clinical trials and launching cutting-edge research collaboratives, the PBTF provides emotional, informational, and logistical support to help families navigate their journey, including the award-winning Imaginary Friend Society, Starfolio Resource Notebook for the newly diagnosed, and emergency financial assistance Butterfly Fund. Regional offices across the country provide critical on-the-ground support to families. More children die of cancer than any other disease in the United States, with pediatric brain tumors surpassing leukemia in 2016 as the deadliest childhood cancer. There are more than 100 types of pediatric brain tumors. While survival rates have improved for some types of tumors, others like diffuse midline glioma (formerly referred to as DIPG) have a zero-percent survival rate. 13 children and teens in the United States are diagnosed every day with a brain or central nervous system tumor, and each child and family’s journey is unique. A child’s prognosis and treatment can depend on the type of tumor, their age and where the tumor is located in their brain. Because brain tumors are located in a part of the body responsible for so much of a child’s development, it’s essential we develop more effective treatments without the side effects that current methods cause. A child’s brain tumor diagnosis impacts every member of the family and can affect families for many years to come. The PBTF’s recent Community Health Needs Assessment uncovered a wide range of challenges that families and survivors face long after treatment, including: emotional distress, financial hardships, a lack of available resources to help advocate for their family, and difficulty re-entering school and professional environments. Bill Tiller, Chief Executive Officer and President: Noted nonprofit leader and longtime child advocate Bill Tiller joined the Pediatric Brain Tumor Foundation in 2019 from Make-A-Wish South Carolina and leads the PBTF’s fight against the deadliest childhood cancer. Learn more about Bill Tiller. Dr. Joanne Salcido, Vice President of Research and Advocacy: Joanne Salcido serves as chief scientific officer, directing our biomedical research programs and advocacy. She brings an exceptional multidisciplinary background and analytical, relational and leadership skills to this role. Learn more about Dr. Joanne Salcido. Kathy Riley, MPH, CHES, Vice President of Family Support: Kathy Riley leads the foundation's efforts to develop and execute family support programs for the more than 28,000 patients and families impacted by a pediatric brain tumor diagnosis. Learn more about Kathy Riley. As the world’s leading nonprofit dedicated to children and teens with brain tumors, the Pediatric Brain Tumor Foundation’s mission is to care for families along their journey, cure all childhood brain tumors, and help survivors and families thrive. Since 1991, we have funded more than $30 million in scientific discovery to increase survivorship, improve quality of life, and ultimately eliminate pediatric brain tumors. We also provide emotional, informational, and logistical support to help families navigate their journey, including the Starfolio Resource Notebook for the newly diagnosed, emergency financial assistance Butterfly Fund, and award-winning Imaginary Friend Society. Our signature Ride for Kids, Starry Night, and Vs. Cancer events rally supporters across the country, and regional chapters provide critical on-the-ground support to families. Visit www.curethekids.org/mission to learn more.